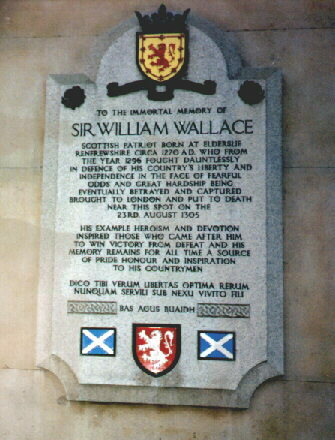 The plaque shown on the left commemorates the life and death of Sir William Wallace. 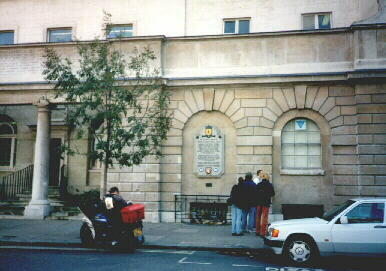 It can be found on the side wall of St. Bart's Hospital at Smithfield in London, and is close to the spot where Wallace was executed on 23rd August, 1305. In the Epilogue to his Braveheart book (ISBN : 0-45-118573-0), Randall Wallace describes visiting this spot, standing in prayer, and feeling the presence of Wallace.